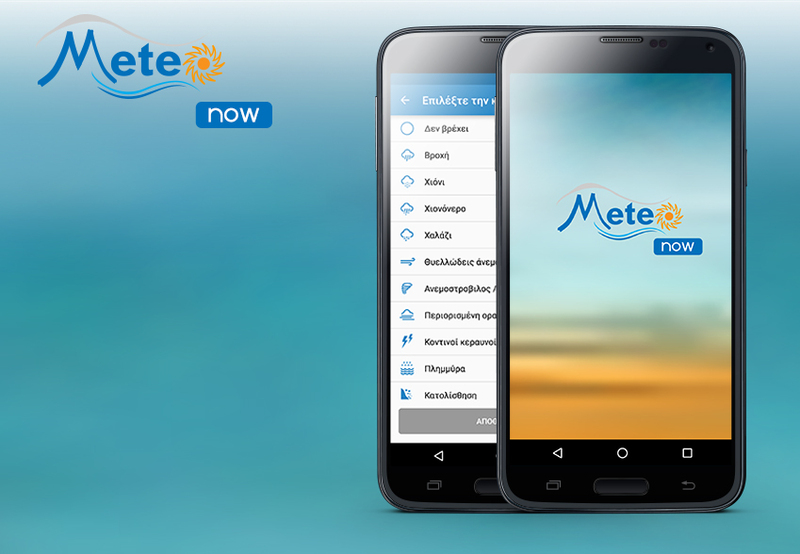 Meteo Now | M-STAT S.A.
Μeteo Now is a functional mobile application, providing users with the opportunity to create and send real time weather reports, based on their current location. The app is a valuable tool to meteorologists of meteo.gr as well, since it provides them with real time, direct and reliable information about the upcoming weather phenomena, which cannot be detected from satellites. This way, it is much easier for meteorologists to detect weather phenomenons and announce timely warnings. M-STAT in cooperation with Meteo has developed the app for iOS and Android.